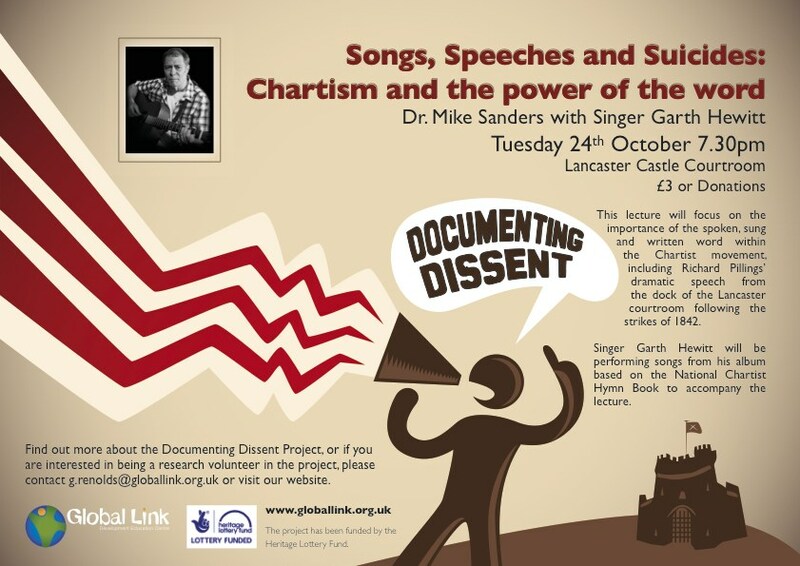 Dr. Mike Sanders and singer Garth Hewitt gave a duo performance in the Shire Hall at Lancaster Castle about the Chartist movement and the power of the written and spoken or sung word. This lecture focused on the importance of the spoken, sung and written word within the Chartist movement, including Richard Pillings’ dramatic speech from the dock of the Lancaster courtroom following the strikes of 1842. Singer Garth Hewitt performed songs from his album based on the National Chartist Hymn Book to accompany the lecture.